[Jesus said:] 1 “Then the kingdom of heaven will be like 10 virgins who took their lamps and went out to meet the groom. 2 Five of them were foolish and five were sensible. 3 When the foolish took their lamps, they didn’t take olive oil with them. 4 But the sensible ones took oil in their flasks with their lamps. 5 Since the groom was delayed, they all became drowsy and fell asleep. 14 “For it is just like a man going on a journey. He called his own slaves and turned over his possessions to them. 15 To one he gave five talents; to another, two; and to another, one—to each according to his own ability. Then he went on a journey. Immediately 16 the man who had received five talents went, put them to work, and earned five more. 17 In the same way the man with two earned two more. 18 But the man who had received one talent went off, dug a hole in the ground, and hid his master’s money. In the Narrative Lectionary this is the year in which the Gospel According to Matthew is highlighted. One aspect of my preparation each week is to look at several translations (NAS, NIV, GW, HCSB, NKJV are the usual ones). This Sunday the text will be Matthew 5:1-20. Here is the HCSB translation of 5:2-10. While this may be technically accurate, I stumbled through the reading. Even orally, it seemed awkward. Perhaps that is due to my 65 years of worship and Bible reading in which the KJV/RSV/NAS/NKV heritage was the traditional rendering of this text. From a translation perspective, there is nothing technically wrong with the HCSB here. I do have two problems with the HCSB translation. 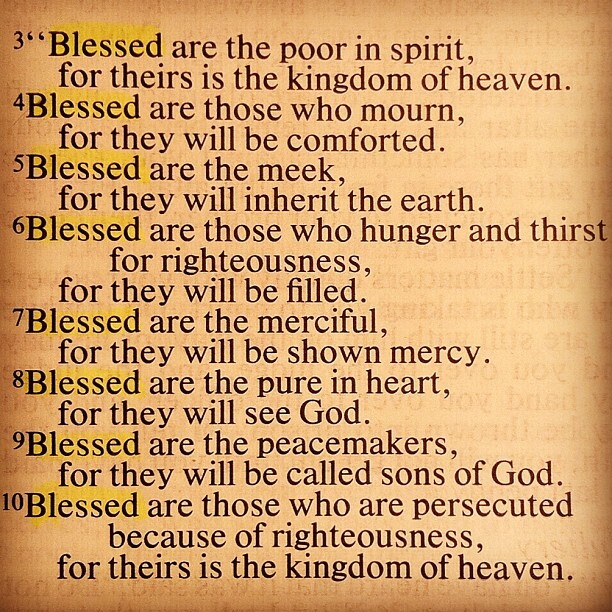 The rearrangement of “blessed” to end of the first half of the sentences diminishes the impact of the repetition in each verse. It is difficult to see any pattern here. And from an oral reading perspective, it is awkward at best to read. It is just too jarring to the ear. Hence I did not use the HCSB for this Sunday’s reading. This reads and sounds better. I am in my final preparation for this Sunday’s Pentecost sermon I was reviewing Acts 2 in HCSB. 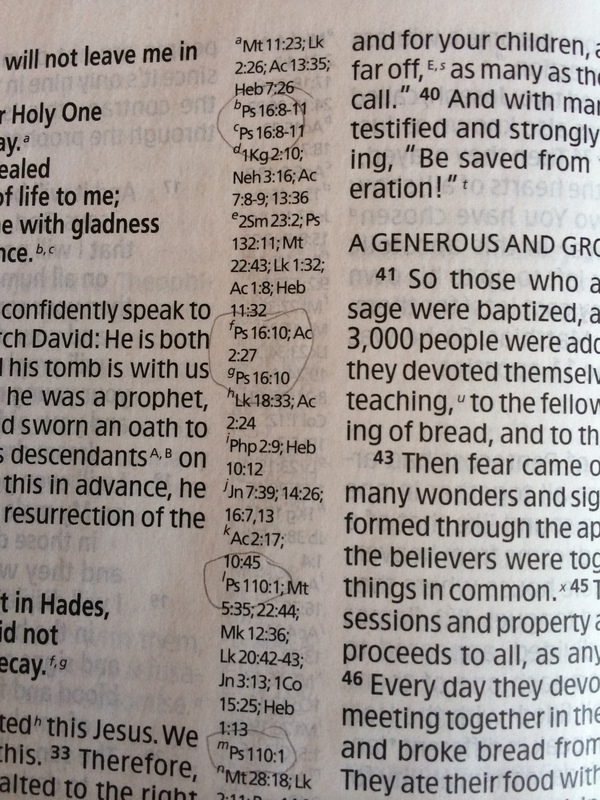 I found some printing problems in the Thinline Bible. 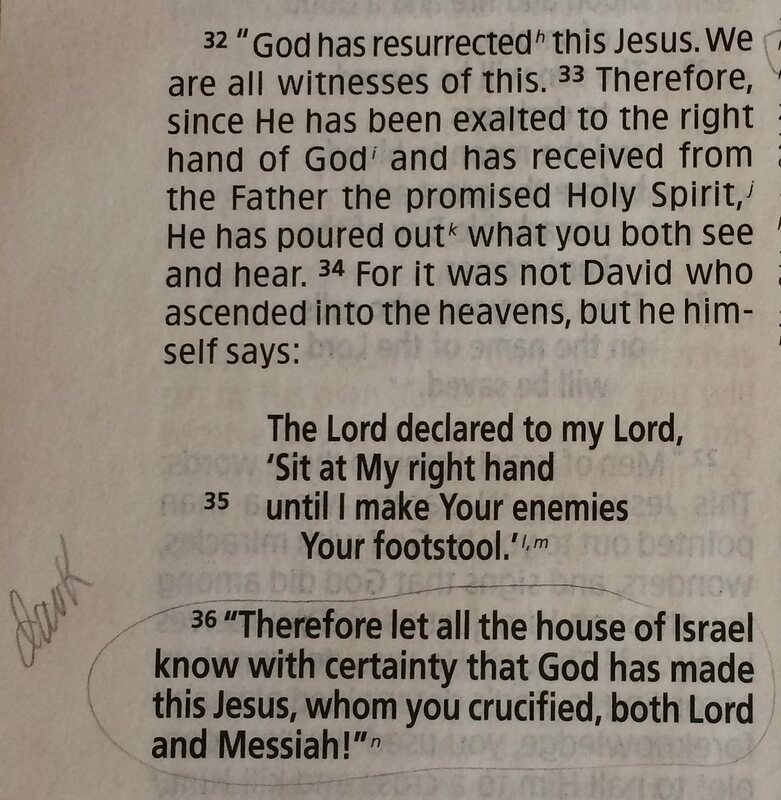 Also, I noticed the problem of the Old Testament references repeated with two separate footnotes. Here is another example in Acts 2. I remember Dr. Carter mentioning something about this. Couldn’t remember if this was specific to the Thinline Reference Bible, though.